Born and raised in St. Thomas, Lord lived in a small home beside his garage with his son, Thomas, his daughter-in-law, Ellen, and his grandson, “Little” Henry. All lived happily until the stroke of a pen by President Coolidge authorizing the construction of the Boulder (Hoover) Dam. Within a decade, more than 250 square miles of desert floor would become flooded by the waters of the Colorado River, and St. Thomas would be no more. In the early 1930s, the federal government began buying out the residents of St. Thomas, yet the hardheaded Henry Lord, believing the water would never reach his home, refused to sell. It was a mistake that would cost him―and his family―dearly. 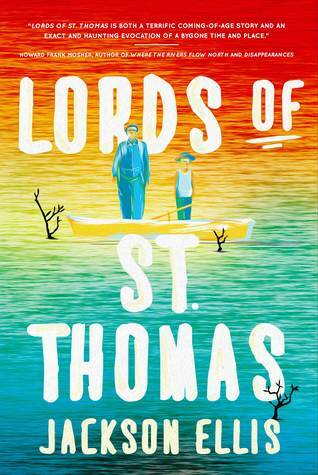 Lords of St. Thomas details the tragedies and conflicts endured by a family fighting an unwinnable battle, and their hectic and terrifying escape from the flood waters that finally surge across the threshold of their front door. Surprisingly, it also shows that, sometimes, you can go home again, as Little Henry returns to St. Thomas 60 years later, after Lake Mead recedes, to retrieve a treasure he left behind―and to fulfill a promise he made as a child. As a disclaimer, I must issue this warning. After reading Roma Nova Extra, you may experience some side effects; such as, the overriding compulsion to reread the Roma Nova series. Oh yes, my peeps and fellow travelers, this collection of short stories is that compelling. I have always found history to be more than just interesting, even if it’s the history of an alternative/fictional world, and in this volume of stories, the author fills in some gaps, provides insight as to how Roma Nova came into being. One such story, Victory, is a perfect example of the Roma Nova adherence to their past; to their beliefs – their passion for keeping the old ways alive and to not succumb or submit to those who would see their downfall. The stories, a mixture of historical perspective with some more personal tales give the reader a further glimpse into this amazing fictional country – it’s past, and it’s future. 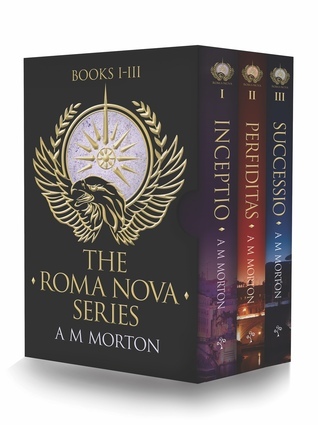 An enjoyable collection that is sure to delight the faithful readers of the Roma Nova series. BLURB: A young woman walks alone through a barren landscape in a time before history, a time of cataclysmic natural change. She is cold, hungry and with child but not without hope or resources. A skilful hunter, she draws on her intuitive understanding of how to stay alive… and knows that she must survive. In present-day London, geneticist Dr Eloise Kluft wrestles with an ancient conundrum as she unravels the secrets of a momentous archaeological find. She is working at the forefront of contemporary science but is caught in the lonely time-lock of her own emotional past. Bone Lines is the story of two women, separated by millennia yet bound by the web of life. A tale of love and survival – of courage and the quest for wisdom – it explores the nature of our species and asks what lies at the heart of being human. Although partly set during a crucial era of human history 74,000 years ago, Bones Lines is very much a book for our times. Dealing with themes from genetics, climate change and migration to the yearning for meaning and the clash between faith and reason, it also paints an intimate portrait of who we are as a species. The book tackles some of the big questions but requires no special knowledge of any of the subjects to enjoy. Alternating between ancient and modern timelines, the story unfolds through the experiences of two unique characters: One is a shaman, the sole surviving adult of her tribe who is braving a hazardous journey of migration, the other a dedicated scientist living a comfortable if troubled existence in London, who is on her own mission of discovery. The two are connected not only by a set of archaic remains but by a sense of destiny – and their desire to shape it. Both are pioneers, women of passion, grit and determination, although their day to day lives could not be more different. One lives moment by moment, drawing on every scrap of courage and ingenuity to keep herself and her infant daughter alive, while the other is absorbed by work, imagination and regret. Each is isolated and facing her own mortal dangers and heart-rending decisions, but each is inspired by the power of the life force and driven by love. Bone Lines stands alone as a novel but also marks the beginning of the intended ‘Children of Sarah’ series. Anthropology has always fascinated me. During the early 1970’s when I was in college, I focused on two subjects – ancient history and physical anthropology, so I was immediately drawn to the subject matter in Bone Lines. The finding of Sarah and the speculation that she might have been migrating back to Africa because of a natural occurring climate change event is the focal point of Bone Lines and really caught my interest (I surprised myself in that I actually understood the scientific portions of the tale after all these years – a testament to the descriptive ability of the author). It is a very well thought out tale full of surprises while at the same time giving the reader some interesting ideas and thoughts to ponder. I especially enjoyed Eloise’s letters to Charles Darwin – lots of soul searching and mind expanding going on in those. All in all, an enjoyable read featuring two strong female protagonists; a speculative look at life on earth 74,000 years ago – an earth in the throes of a volcanic winter; and the emotional/mental turmoil of a gifted but troubled scientist. Before returning to her first love of creative writing, Stephanie spent much of her youth pursuing alternative forms of storytelling, from stage to screen and media to marketing. For the past fifteen years Stephanie has run her own communications and copywriting company specialised in design, architecture and building. In the meantime an enduring love affair with words and the world of fiction has led her down many a wormhole on the written page, even if the day job confined such adventures to the weekends. Let me preface my remarks with this useful tidbit. Whenever I am asked to name my favorite author(s), or which author(s) I would invite to a dinner party, two names always top the list(s) – Mark Twain and Kurt Vonnegut. In a way those choices do seem a bit odd, given that most of my reading of their work was decades ago, and I have since been exposed to so many really wonderful writers. Perhaps my preference for Mark and Kurt stems from the simple fact that they present a look at America unclouded by myth and legend. And that, my peeps and fellow travelers, is what I like – a questioning of the status quo, a questioning of what we value in this country, a questioning of where we are heading. Toby bowed, turned around, and left the building, his head bursting with thoughts. His hatred and vengeance had dissolved into sadness and pity, but mostly sadness…a feeling of loss. Something he’d have to live with for the rest of his life. He knew one thing for certain. He’d never return. Before he drove away from the Acacia Retreat, Toby held the torch tight in his hand. “I have confronted him, Mummy. I’ve done it for you and me. Rest in peace.” On the way home, he stopped on an old wooden bridge and threw the torch into the mirror surfaced creek. He waited as the ripples extended outward and disappeared. A man infatuated with ivy. A woman pining for lost love. In a Turkish square, ancient buildings lament a devastating explosion. An unlikely friendship struck up with a homeless person. A journey to a magical place that once visited can never be found again. The camaraderie between the patients in a cancer ward. A writer who has lost his muse. A tragedy that leads to dementia. These are just a few of seventy individual tales set in locations straddling continents, which portray war, love, hate, hope, greed, revenge, despair, humour, mystical happenings, fantasy, and so much more. 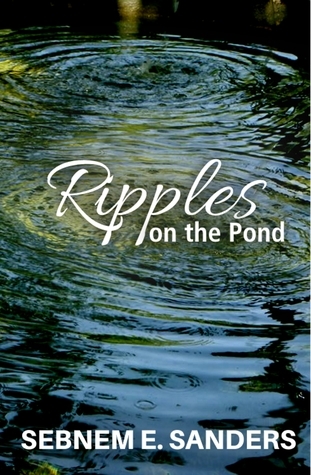 Like ripples expanding on the surface of a pond to reach its banks, they converge in this anthology of flash fiction and short stories by Sebnem E. Sanders in her debut release. 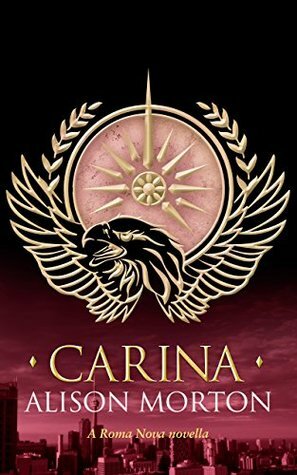 Having read and thoroughly enjoyed the entire Roma Nova series, I eagerly opened up the new installment, Carina. This installment takes place between the first two books of the series and finds Carina tasked to apprehend an alleged traitor in Quebec and return her to Roma Nova. A straightforward task for a member of the elite Praetorian officer corps. However, things turn out to be a bit more complicated and she is plunged into a web of deception and intrigue. 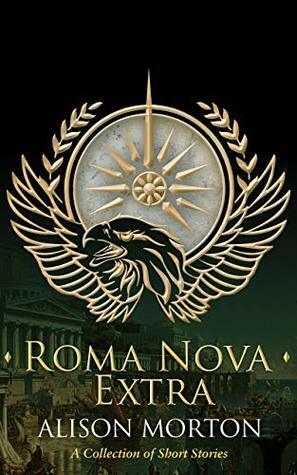 The author has given the reader another gem of a tale with her usual fast paced style, believable scenarios and the real sensation that Roma Nova could exist in the modern world. When I started reading Carina, it was with the thought that I would take my time with this novella, as I was also reading a couple of other books that had review deadlines looming. Hah! I was so engrossed and taken in by Alison’s skillful creative abilities, that I finished Carina in two sittings. So, dear readers, help yourself to another 5 Star entry to the Roma Novan catalog. I first learned of the author from another author friend of mine. I had sent him a couple short pieces I had written and he replied that I wrote sort of like this guy Ron Gompertz. Well I needed to check that out so I read his No Roads to Rome books and decided that it was okay to be compared to Ron. When the author first told me about this new book of his and what it was about, I thought great. The main story line concerns a 13 year old and taking place in the year 1968. I figured I would have a lot in common with the main character even though I was 17 in 1968 to Max’s 13 and I grew up in Detroit while Max was in Laurel Canyon, outside of L.A. While Max’s adventures and acquaintances were different than mine, we both experienced the threat of nuclear war, the assassinations of Martin Luther King and Bobby Kennedy, the 1968 Democratic Convention/protests, the Vietnam War, the Russian invasion of Czechoslovakia, etc, etc. Another difference between us is that Max is Jewish and is about to be Mitzvahed and I was a Protestant about to begin questioning my faith. It is Max’s Jewish faith and heritage that plays an important part of this story but the author also interjects some wonderful scenes with the hippie denizens of Laurel Canyon. Some of the luminaries encountered in this time of an amazing musical explosion are Frank Zappa, Joni Mitchell, Cass Eliot and the infamous drummer from the Monkees, Mickey Dolenz. Oh yeah, the chapter about The Doors is worth the price of admission. I can’t say enough good things about the characters in this book. Everyone comes across as totally believable and many mimic traits that I recognize in some of the parallel figures in my life in 1968. The author seamlessly weaves some very serious plot lines in among the humorous scenes and indeed the second half of the book is of a more somber tone, though some of the shenanigans during the Mitzvah ceremony are not only funny but brought back my own memories of the 1968 World Series and my boyhood hero Al Kaline. I hesitate to say too much regarding the subject matter as to not spoil its intense emotional pull on the heart that any reader is bound to experience. Kudos to the author for making me laugh, making me remember, and for making me cry. 5 stars and the highly sought after Hoover Book Review’s “This book will change your life” recommendation ..
Today I am privileged to welcome to my humble, yet insightful, book review blog, Ron Gompertz, author of the delightful No Roads Lead to Rome series. Ron was recommended to me by fellow author, SJA Turney who, after reading one of my short works said it reminded him of Ron’s style. Well, I did not know I even had a style so was intrigued by the comparison and that has led to this; an interview with the man, himself. Ron has a new book coming out, Life’s Big Zoo and it’s a bit different than his Roman historical fiction. Hello Ron and thanks for your time. The first thing that popped into my mind while reading Life’s Big Zoo was, how much of this is autobiographical? “Life’s Big Zoo” started off as a memoir and, like most memoirs, quickly turned to fiction. That said, the story of a precocious kid growing up between the shadow of the holocaust and the bright lights of the sixties is heavily influenced by my own experiences. I was too young to really participate in the sixties, but old enough to feel both the fear and exhilaration of the times. I was raised Jewish. My father and his parents managed to get out of Nazi Germany just in time. Most of their extended family wasn’t so lucky. 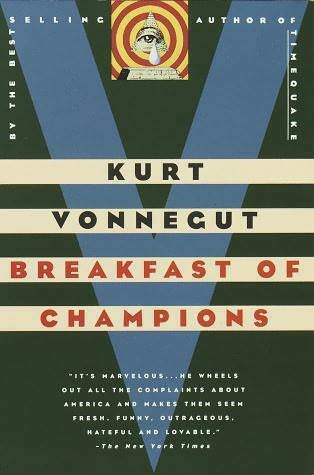 Growing up with this history meant being an outsider in mainstream America and definitely informed much of the novel. I grew up in Los Angeles like my protagonist. I saw the sixties unfolding from the window of the city bus I rode across town to my “special” elementary school. I listened to KHJ (“Boss Radio for Boss Angeles”) and Wolfman Jack on my transistor radio, listened to the neighborhood garage bands, and was scared by the nightly news. I was struck over and over with the comparisons with my own experiences in the late 60’s, the conflict arising between, in my case Christian beliefs and the counter culture of the hippies. In your book it is the Jewish faith of Max’s family up against the residents of Laurel Canyon. The sixties were a time for seeking meaning and searching outside one’s faith or tribe of origin for universal truths. I was very aware of this, even as a kid trying to figure things out. “Life’s Big Zoo” is a culturally Jewish story, Jewish with an emphasis on “-ish,” a sort of “Catcher in the Rye Bread” that I hope captures the zeitgeist of Laurel Canyon in 1968. I hope it will resonate beyond just my tribe of origin. My father’s brand of Judaism was very tolerant of asking big questions and seeing the universality of all faiths. My parents certainly weren’t hippies, but they were very open minded so I spent my energy rebelling against Nixon instead of them. I’m hoping that baby boomers will find some universal truths and that younger readers will learn something about their parents (or grandparents!) in seeing the kaleidoscopic world of 1968 through the eyes of a twelve year-old protagonist coming of age under peculiar circumstances. I fell in love with your characters especially Hannah, Max’s grandmother. She is a joy. Max’s brother, Tommy, now he could be a composite of guys I grew up with, although I never met Zappa. That must have been quite the scene at old Tom Mix’s cabin. Tommy brings the rock-and-roll! Back then there were garage bands in every neighborhood and the dream of love, peace, and music was infectious. I set the story in Laurel Canyon because it was the center of the folk rock universe. Everyone was there from Joni Mitchell to The Doors and everyone in between (including my favorite band at the time, The Monkees”). Laurel Canyon was an artistic and cultural nexus like Paris between the world wars. It’s impossible to overstate how significant and downright groovy it was. Draft-age, poor student Tommy also brings the specter of Vietnam whose significance is also hard to overstate. Growing up, I figured that if the H-bomb didn’t get me, the war would. Few of us expected to live past the age of thirty. While humor does permeate the entire story, the latter third takes on a more somber tone. Without giving anything away, how much of the trip to Germany is true? The Germany trip was fiction inspired my father’s return to his hometown of Krefeld, fifty years after escaping. He and the other survivors were invited back by schoolkids doing a history project in 1987. He had never intended to return, much less give speeches and meet with journalists and city officials. Meeting the children and grandchildren of the Nazis on this and a subsequent trip brought him to the terrifying question of what he would have done had he not been born Jewish. We’d all like to think of ourselves as heroes, but history continues to suggest that most of us would remain silent. In “Life’s Big Zoo” I suggest that heroism wears many faces. Once again, thanks to Ron for taking the time to enlighten me, and my peeps and fellow travelers. My pleasure! Thanks for your interest and support, Paul.